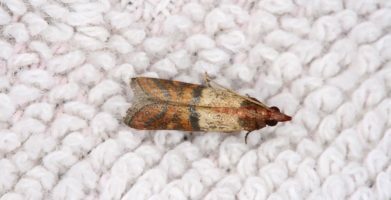 Home / Blog / Pest of the Month – Clothes Moths. Don’t Let Them Wreck Your Wardrobe. Pest of the Month – Clothes Moths. Don’t Let Them Wreck Your Wardrobe. 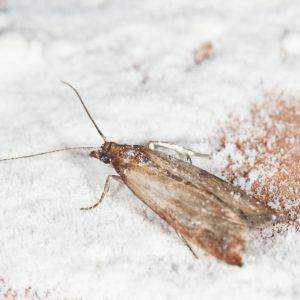 Clothes moths may be some of the sneakiest pests out there. You almost never see the actual moths, but you can always tell when they have made themselves at home by the holes left in your clothing or fabrics. 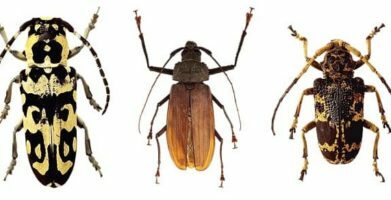 What causes these pests to choose your wardrobe when they’re looking for their next meal? And why do they have such expensive taste? Avoid a fashion faux pas by learning all about the fabric moth and how to get rid of moths naturally. The first thing you need to know is that clothes moths are not the same as the moths you see flying around a light, and they are also different than the moths that infest kitchen pantries. There are thousands of different moth species, but only two of them are likely culprits for wrecking your wardrobe. The ones that favor fabric are the webbing clothes moth and casemaking clothes moth. These little guys are only about ½ an inch long and will hide if disturbed. They are not attracted to light, and aren’t very good at flying. Adult moths are not even the ones actually responsible for causing damage — moth larvae are the ones to blame for the holes in your silk blouse. Just like us, they need the proteins found in food to grow. But rather than sneaking into your refrigerator, their favorite food sources live in your closet. Do moths have expensive taste? Most people think moths are only attracted to clothing made from natural fibers like wool, fur, or silk. Moth larvae will consume those fabrics, but the list doesn’t stop there. Moths will also feed on synthetic material if it is soiled with body oil or food stains. Other places moths might infest include carpets, rugs, tapestries, blankets, animal bristle brushes, and wool pads inside of pianos. Moths prefer dark, quiet areas like the closet where your winter coats and wool sweaters have been hiding for the last few months, or underneath an area rug in your rarely used formal dining room. Detecting a moth infestation before they have damaged your fabrics is very difficult, which is why prevention is critical. 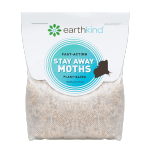 Skip the mothballs and get rid of moths naturally. People have known for a long time that certain scents can prevent moth infestations — that is why cedar chests have been the traditional place to store special items like a wedding dress or the lace tablecloth that was handmade by your great-grandmother. Unfortunately, the cedar oil disappears over time and becomes less and less effective. Mothballs seemed like a great solution because they were less expensive than cedar chests and easy to use in a variety of places, but the main ingredient in mothballs — usually naphthalene — has been found to be very toxic to people and pets. 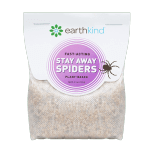 Bringing a dangerous poison into your home just to keep pests out is hardly a solution. You can prevent moths naturally though by taking a few steps when storing items that are attractive to moths. The first and most important thing you can do to prevent moths is to carefully inspect and clean both the items you will be storing, and the place where you will be storing them. Wash all clothing first to make sure there are no food stains or bodily oils left behind. Vacuum the closet or area you will be using before storing items, paying special attention to the baseboards where moth larvae love to hide. For guaranteed protection against moths, place a pouch of Stay Away® Moths in your closets and dressers. Its time tested scent of cedar oil, along with other essential oils will prevent pests naturally. The easy to use pouches are safe, effective, and way easier than a heavy, wooden chest! You’ll be pleasantly surprised the next time you go looking for your favorite wool jacket. It’ll smell fresh and ready to wear and you won’t have to worry about expensive repairs. Isn’t the moth you have pictured a Pantry Moth. I am trying to identify Clothes moths and this blog is confusing? You have a very keen eye and we apologize for the confusion! Here is a great resource from the University of California about identifying and controlling clothes moths. The first thing you need to know is that clothes moths are not the same as the moths you see flying around a light, and they are also different than the moths that infest kitchen pantries. There are thousands of different moth species, but only two of them are likely culprits for wrecking your wardrobe. The ones that favor fabric are the webbing clothes moth and casemaking clothes moth. 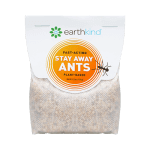 These little guys are only about ½ an inch long and will hide if disturbed. They are not attracted to light, and aren’t very good at flying. Adult moths are not even the ones actually responsible for causing damage -- moth larvae are the ones to blame for the holes in your silk blouse. Just like us, they need the proteins found in food to grow. But rather than sneaking into your refrigerator, their favorite food sources live in your closet. People have known for a long time that certain scents can prevent moth infestations -- that is why cedar chests have been the traditional place to store special items like a wedding dress or the lace tablecloth that was handmade by your great-grandmother. Unfortunately, the cedar oil disappears over time and becomes less and less effective. Mothballs seemed like a great solution because they were less expensive than cedar chests and easy to use in a variety of places, but the main ingredient in mothballs -- usually naphthalene -- has been found to be very toxic to people and pets. 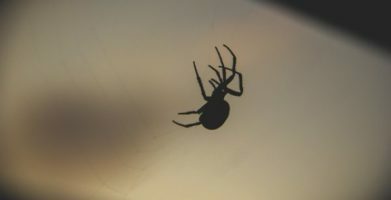 Bringing a dangerous poison into your home just to keep pests out is hardly a solution. string(74) "Pest of the Month – Clothes Moths. Don’t Let Them Wreck Your Wardrobe."